For the very poor of Tanzania, poverty leads to bad health, and bad health leads to poverty – a vicious downward spiral. This is particularly true of those living with HIV/AIDS. There is some good news in that many of the AIDS sufferers in Tanzania are now able to receive the medicines needed to help keep them alive. But we are finding that some of these people are living in such substandard housing (even by Tanzanian standards) that their health and even their lives are further threatened. Despite the medicine, it is not easy to survive AIDS, tuberculosis and more if you are wet, cold, and sleeping in the mud or dust. To address this need the Houses for Health program was established to build homes for specially targeted individuals: Those with severe health problems that are further threatened by their seriously substandard living situation. Those who are extremely poor. And especially those whose death would leave behind more orphans. About 75 % of recipients have HIV as a base health issue, but homes have been built for those with orthopedic, mental health, and a wide range of health challenges. The houses are typical, very modest, two-room homes that provide a better quality of living through protection from the elements. Through better housing, people have the promise of better health. The houses are built using 100% local labor and 99+% local materials and so are a boost to the local economy. Depending on the site and the weather, a house can be built in as few as 5 or 6 weeks. We built our first 3 houses during 2008, then 6 houses in 2009, 10 houses in 2010, 12 houses in 2011 and in fiscal 2012 more than 20 homes have been completed. Still, the need is great. 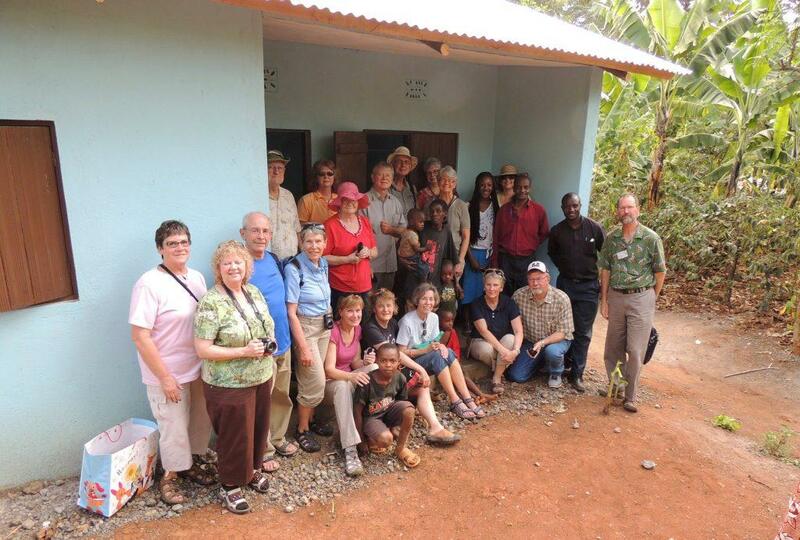 Through the Houses for Health project, funds are directed through the Nebraska Synod of the Evangelical Lutheran Church in America that administers this program in partnership with Bob Kasworm of Alegent Health.